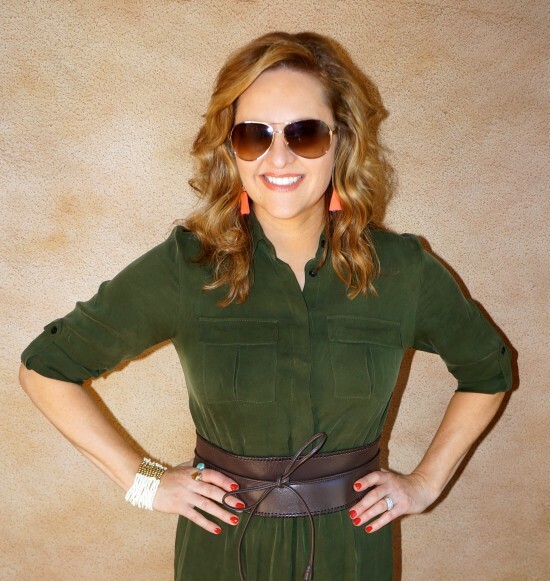 I have a love-hate relationship with rompers… I love the style and how they look on other people, but generally don’t like how they fit or look on me. Those of you who are long-waisted know what I’m talking about. Not so with this chic little number by Alice+Olivia! It fits. And I love how the tailored top balances out the short-shorts bottom. I styled with an obi belt to enhance my waist and add polish, then completed the look with python gladiators and summery, festival-inspired jewelry. Special thanks to Brighton for the custom ring I designed myself. It’s part of their “Your True Color” collection, which allows you to easily create your own look online. Check out the other Brighton jewelry we designed. Rompers are great for the beach! 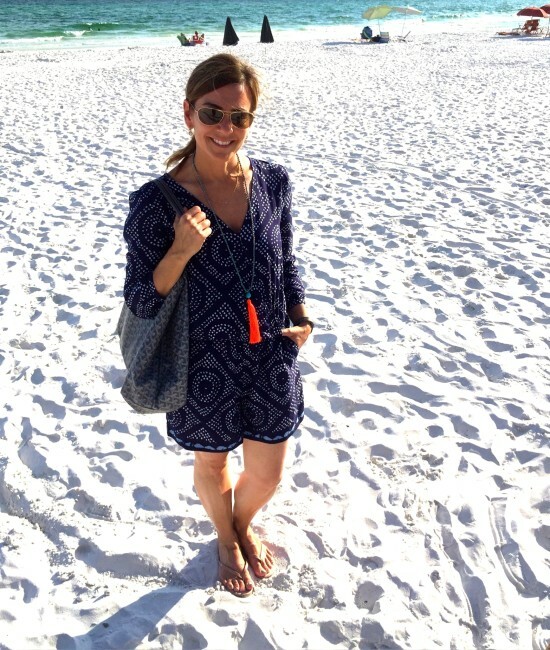 Our own Jen Munoz is at the beach as we write this soaking up some rays and looking chic in her ethnic-print romper. Have fun, Jen! Beauty Secrets from Scottsdale Fashion Week Revealed!